Madras Rubber Factory Limited, or MRF for short, is an Indian Rubber manufacturer who, among other products, makes passenger and light truck tires for on- and off-road use. The company’s goal is constant quality improvement and customer satisfaction and they have received the JD Power Award numerous times. They improve their products with their experiences in the racing world, and strive to bring exceptional performance to their customers. 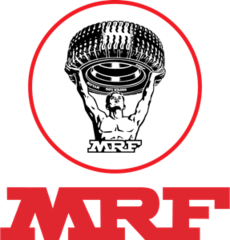 MRF leads the tire manufacture industry in India and they aim for constant progress.